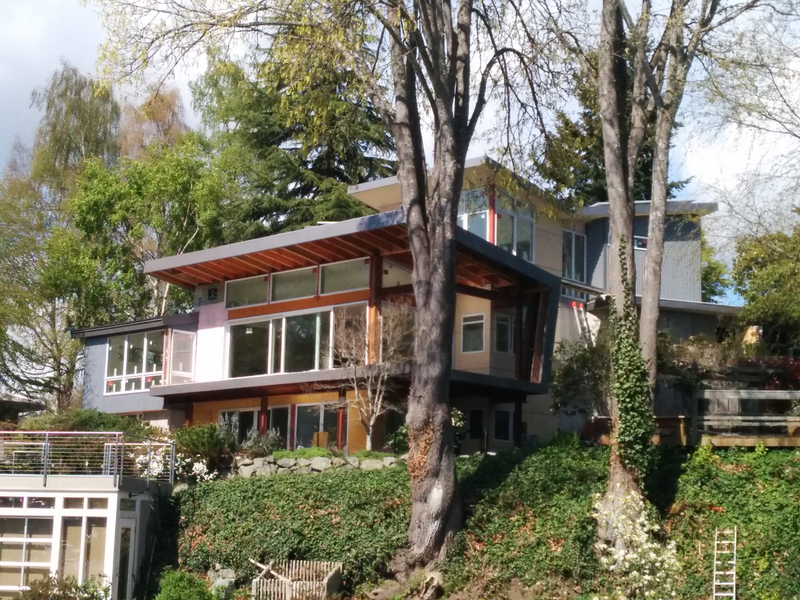 What started as an energy retro-fit for a mid-century waterfront home turned into a complete remodel and addition of a master suite on the second floor. Maintaining the footprint and retaining much of the original floor plan the house was transformed by raising the roofline of the living room. Large panel sliding glass doors connect the interior with the spectacular setting of Eagle Harbor with incredible views to Seattle. 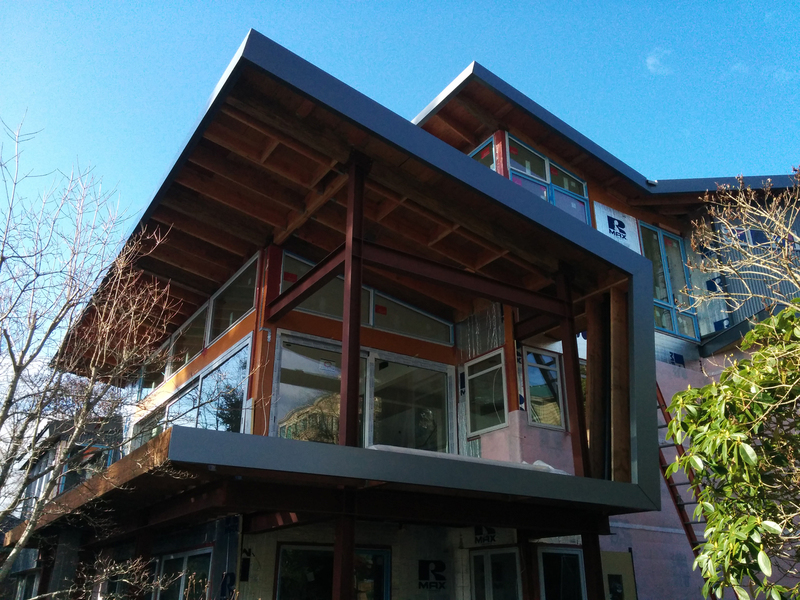 2” of rigid insulation was added to the exterior of the house and attics and walls were filled with blown-in fiberglass insulation to improve the thermal efficiency of the envelope, while a liquid applied air barrier seals the house. A whole house Heat Recovery Ventilation system provides 5 air-changes a day and distributes heat generated by mini-split heat pumps. Heat pump hot water heaters provide efficient hot water. 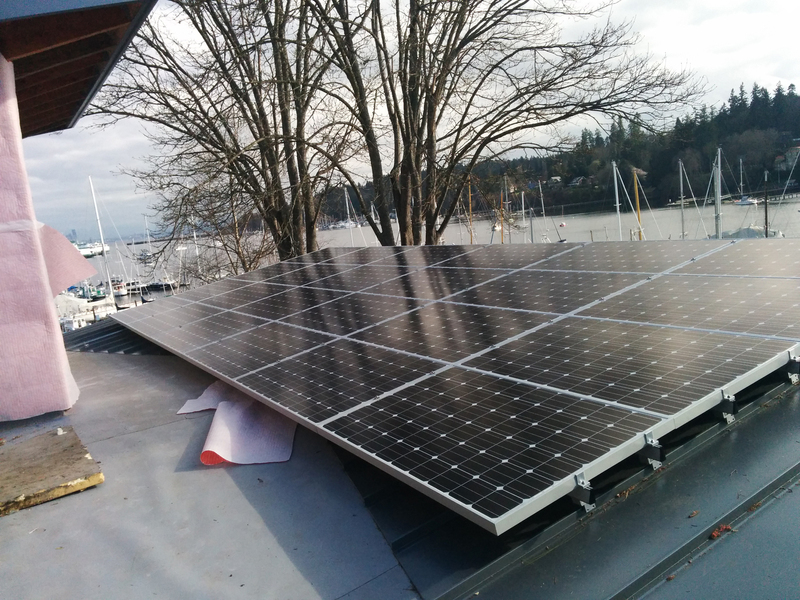 The energy consumed is off-set by a 11.5kW photovoltaic array on the roof, giving potential for net-zero living.